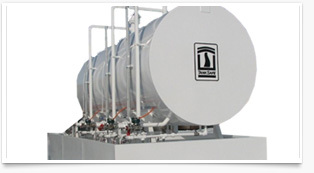 Innovative and Environmentally Responsible Storage Tanks | TankSafe Inc.
As the pioneer of the industry’s first heated 110% containment Storage Tank, and the industry’s first tank mounted Condenser Unit, TankSafe revolutionized and continues to redefine environmentally responsible oilfield storage and emission control. 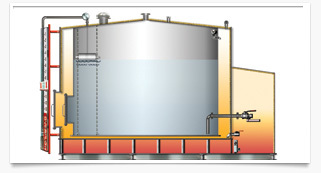 TankSafe’s patented storage tank designs provide an ideal solution for environmentally responsible liquid storage requirements. 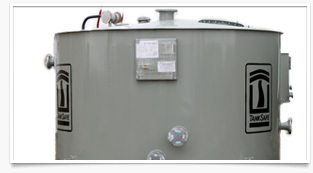 Minimize your environmental footprint with tank solutions that meet your unique field requirements. Since our inception we have continuously innovated and optimized our patented product designs to offer the simplest, most efficient and safest field operation. Every aspect of TankSafe product is explored and scrutinized for improvement opportunities. Tanksafe is committed to designing products that not only minimizes environment impacts but serve as an innovative solution to any field requirements. Our extensive experience results in extremely high quality, innovative and operator friendly products. Navigation Products & Solutions About Us TankSafe Inc. Established in 1996, is a privately owned Alberta based company focused exclusively on the marketing, development, and fabrication of Environmentally Responsible Storage Tanks and Vapour Emission Control Condenser Units. This narrow focus combined with our extensive experience results in extremely high quality, innovative and operator friendly products.